3 Bags of Jack Link's Beef Jerky Only $12.49 Plus FREE Shipping! You are here: Home / Great Deals / 3 Bags of Jack Link’s Beef Jerky Only $12.49 Plus FREE Shipping! 3 Bags of Jack Link’s Beef Jerky Only $12.49 Plus FREE Shipping! This is a great deal on a tasty treat! Quantity Discounts available! If your taste in snacks range anywhere from meaty to delicious? 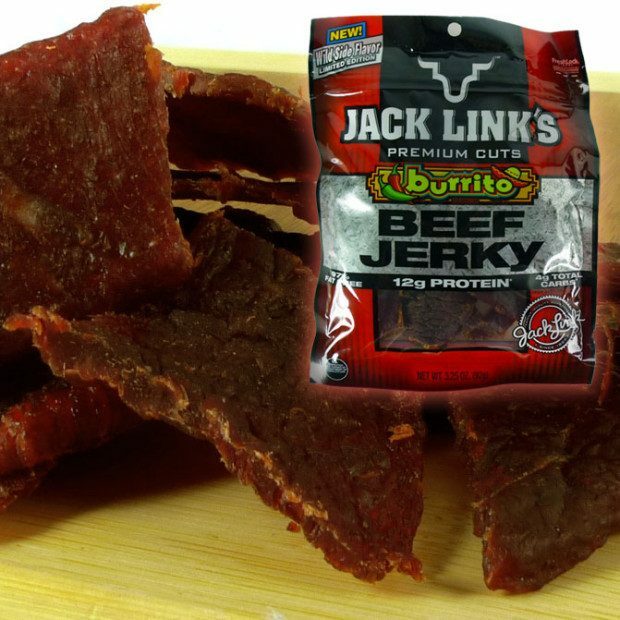 The 3 Bags of Jack Link’s ‘Burrito Seasoned’ Beef Jerky are Only $12.49 Plus FREE Shipping! The Burrito Seasoning adds a spicy heat to this already delicious jerky! Check out other great finds at ThatDailyDeal!